The La Tromba Mini Tuning Slide and Cork Grease comes recommended by woodwind and brass repair specialists. 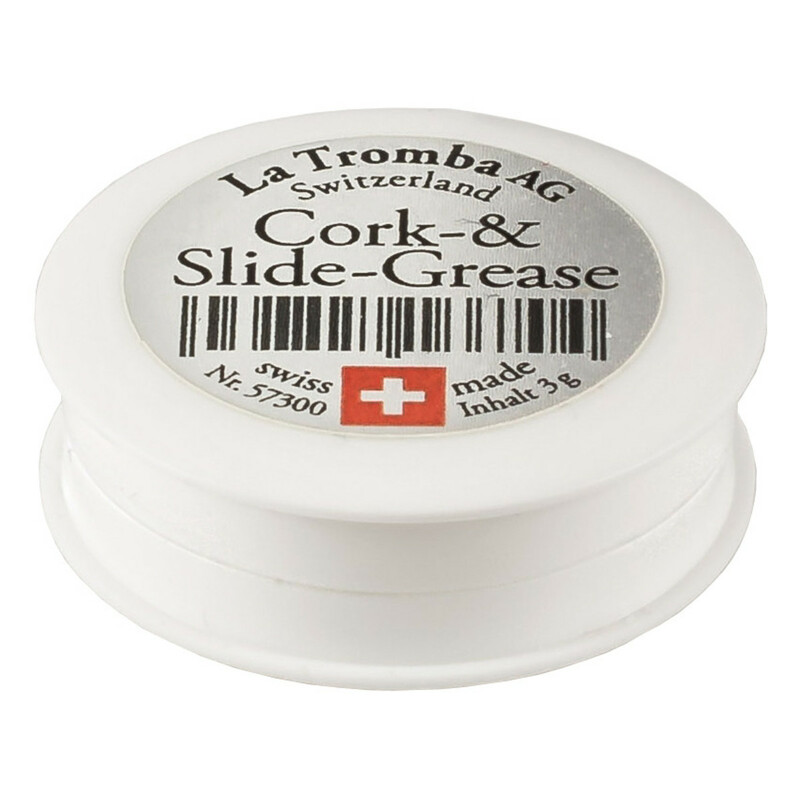 The La Tromba Grease provides a non-aging lubricant for preventing stuck slides and providing ease when assembling woodwind instruments. With a slightly thicker consistency, this tuning slide and cork grease helps to prevent corrosion and jamming of the slides by isolating any collecting condensation through extensive playing. It also helps to protect corks against humidity and temperature change, whilst ensuring ideal lubricating properties for stiff woodwind tenons.